..:: Courtborne Don`t Be Crul ::.. - ..:: WELCOME TO KENNEL COURTBORNE ::..
..:: Courtborne Don`t Be Crul ::..
Kennel Courtborne are very proud and happy for this dog that's been used for breeding. 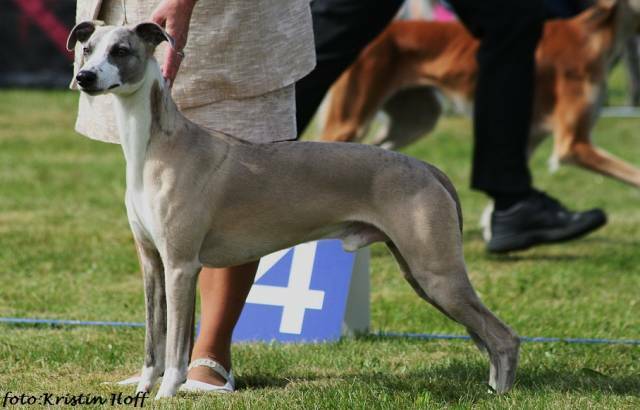 Litle "Sam" is now again in many pedigrees with some of today's new breeding dogs and some winners in male class. Sam has given much of himself and this goes again. Something you can see in the 2 pcs imports from Lancar Dream lines. From the lines we find again the various lines of known and breeders in Norway and Sweden. The way Utzon Kennel in Norway and Adagio in Sweden. From Sweden came 2 new import representing Courtborne lines a little behind on the pedigree.